Joshua Montgomery, a rising senior at New Albany High School, recently became Microsoft Office Specialist Certified in Microsoft Excel. After earning his certification in Microsoft Word in the fall, Joshua, along with 12 other students in Alison Moore’s Office Specialist class, received the Excel national certification in May. 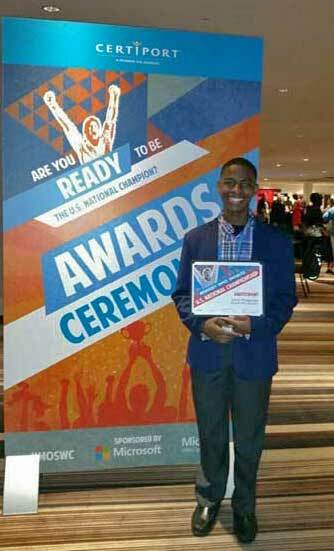 Joshua Montgomery, rising senior at NAHS at national awards ceremony. Joshua recently learned he had the highest score in the state of Mississippi for the spring testing season. Due to his incredibly high score, he was invited to attend the Microsoft Office Specialist US National Championship in Atlanta, Georgia. Steve Patterson: Donald Trump and Lonesome Rhodes-Déjà vu? "The wheels on the bus go round and round, all over town"